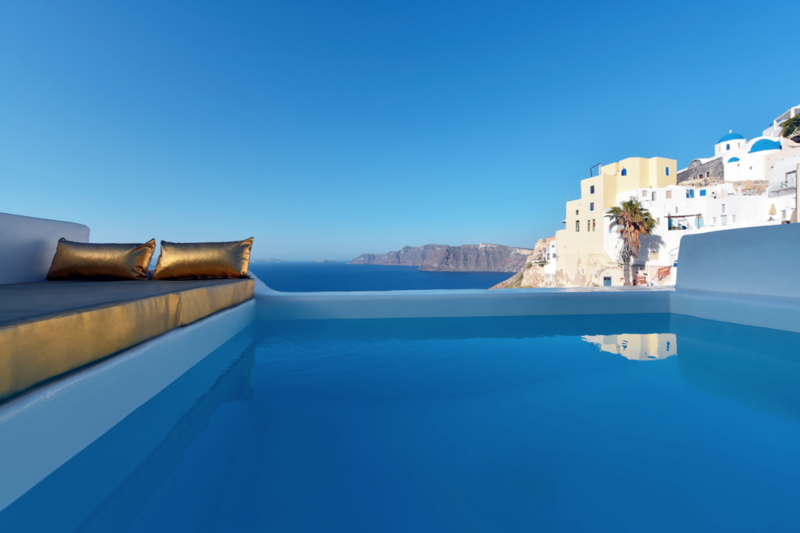 I’m pretty sure you could put me anywhere in Santorini, Greece and I’d be happy, but I’d be extra happy staying at the town’s Ducato Di Oia hotel. The location is set up on the hill with insane views of the Aegean Sea. The boutique hotel feautures 11 cave-style hotel rooms, nine of which have their own private pools. Some also include indoor jacuzzis. I’m a huge sucker for pools and anything that mixes together fun or relaxation with water, so this place looks like a dream to me. Also…peep that shower view. Swoon.